The Calabrian Apennines separate the Tyrrehenian from the Ionian Sea and determine the flow of the rivers, which run smoothly from north to south. The fiumare (small rivers) are, however, highly irregular; very often dry, these watercourses can become raging torrents. This is due to the fact that Calabrian rivers rise in rocky gullies and tumble down steep gradients before forming gentle valley rivers with pebble beds. 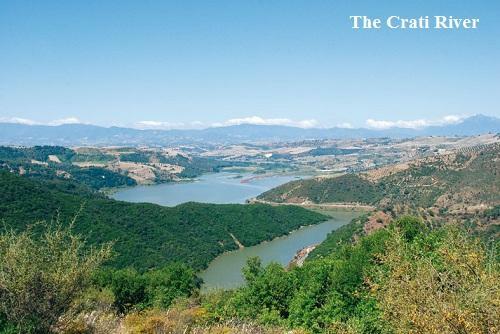 The Crati River, the longest (93 Km) in the region also has the largest basin. It rises on Monte Timpone Bruno in the Sila Grande, and at Cosenza receives the Busento, according to legend, the place of burial of Alaric, king of the Visigoths, who died in 410 AD, surrounded by the plunder of many forays. 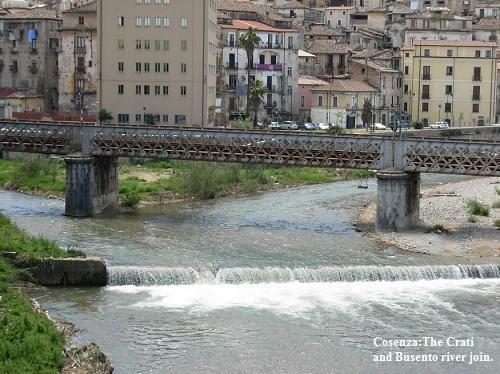 The Crati flows north between the Sila and the Catena Costiera, and crosses the Sibari Plain, where it receives the Coscile river before flowing into the Gulf of Taranto ( Apulia Region). 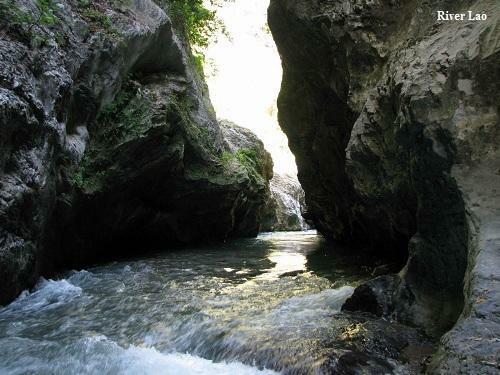 Other rivers flowing into the Ionian Sea are the Tronto Neto, Corace and several others, all from sources in the Sila. Once a malaria-infected area, the Sibari Plain is now the centre of a vast reclamation project, with highly fertile irrigated farmland. Tourism and industry are being stimulated by the creation of large residential villages and of the area known as the Sibari Lakes, an artificial lagoon, one of the biggest in Europe project, a large tourist and cultural plan, now under way and likely to have its focal point in the Sibari area. 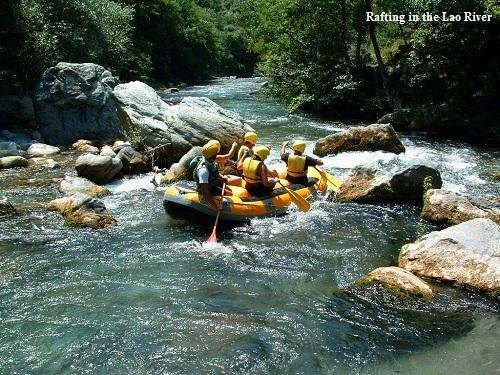 The Lao river (raising in the Pollino), Savuto Amato (source in the Sila) and other smaller rivers which, especially south of the Sila , lie like the spokes of a wheel on the Aspromonte, flow into the Tyrrhenian Sea. 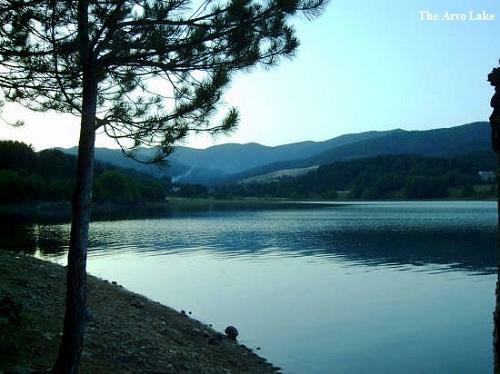 Calabria has only one, tiny but attractive, natural lake, the Lago dei Due Uomini (two man's lake), at an altitude of 1040 m, in the inner foothills of the Catena Costiera. There are also artificial lakes, numerous for the size of the region, almost all in the Sila, the most important being Cecita, Arvo and Ampollino, used for generating hydroelectric power. Their tourist value however is not to be underestimated, for these lakes enhance the scenary already so like a corner of the Alps, and trout, mullet and eel fishing is available. Skirted by roads with breathtaking views, the deep blue waters mirror the birch trees that majestically encircle them, and the convenient Cosenza-San Giovanni railway, characteristically reminiscent of the old days, chugs round several of the lakes at steam engine speed.